Several murders are committed by people working for the justice system. But that is not the only common denominator. All the murders happen out of the blue, are incredibly brutal and none of the killers know why they did it. Criminal Detective Walter Gröhn becomes responsible for the investigation, but not for very long since he ends up in the hospital and also becomes the subject of an internal investigation. He decides to continue the investigation on his own and receives unexpected assistance. 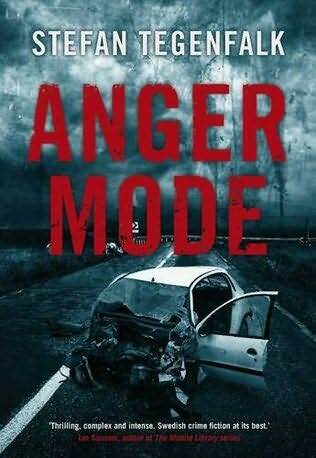 “Anger Mode” is the first novel in a trilogy. The novel has many aspects that could have made it really good, but it does not go all the way. I can never put down a great book, but it took me a few evenings to get through this one. However, must say that I like the main characters, especially Walter and his unconventional ways.